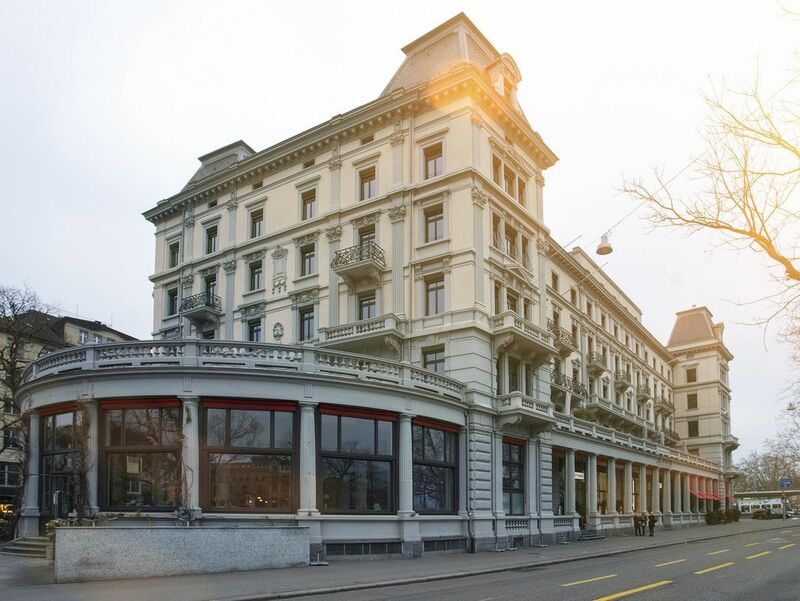 In the well-known Restaurant on the picturesque banks of the Limmat lies a fountain, placed in the entrance and contributing to the Italian ambience. 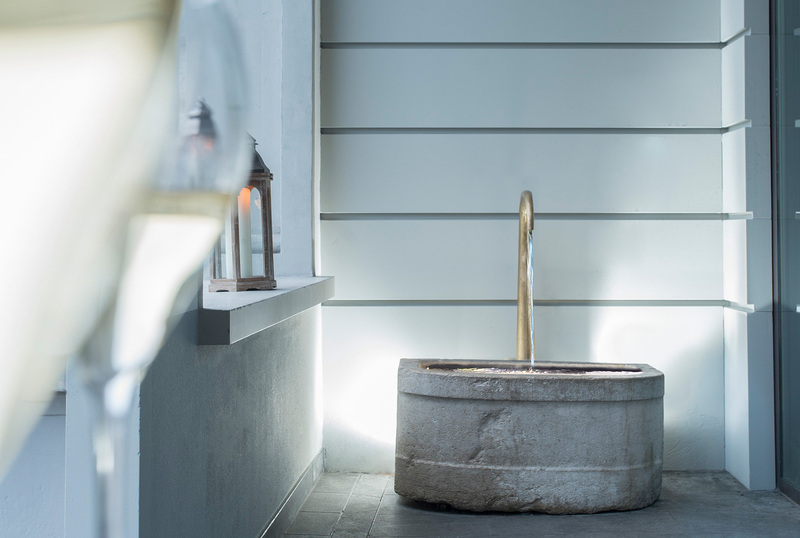 The placement of the fountain is unusual, however specially chosen. 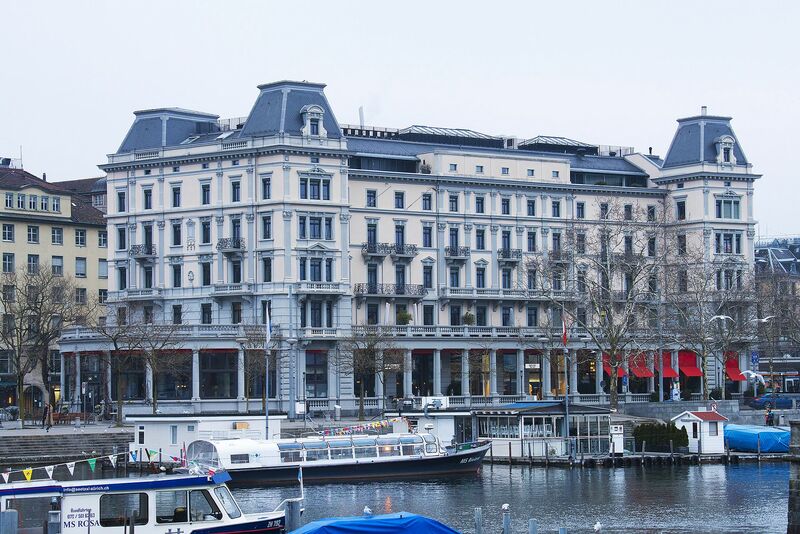 This building, known as one of the most beautiful in Zurich, was in the early 19th century a popular meeting-point for artists and intellectuals.